By Melissa Lennig on January 3, 2018 4 Comments. This content contains affiliate links. As an Amazon Associate I earn from qualifying purchases. Grab your coat and head outside for some fun winter science with the kids. 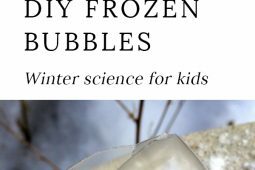 In this post, you will learn how to make beautiful DIY frozen bubbles with our homemade bubble recipe. 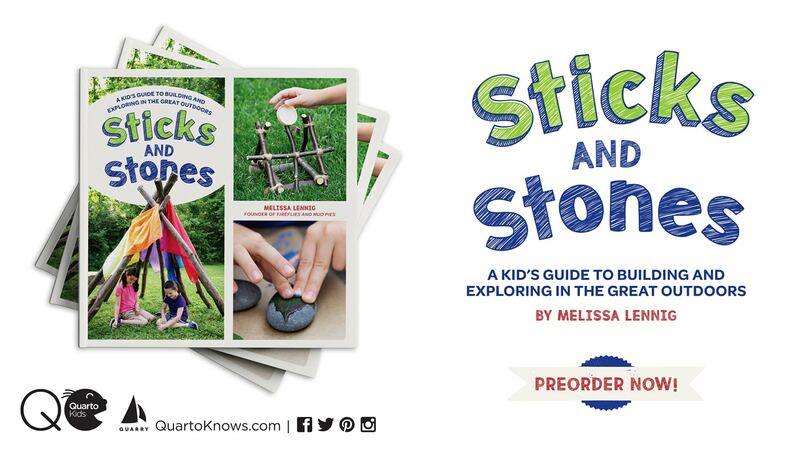 It’s such an awesome cold-weather activity for kids of all ages! Stir crazy, my boys and I bundled up head to toe, then went outside for some incredible winter science—to blow and observe frozen bubbles. At What Temperature Do Bubbles Freeze? 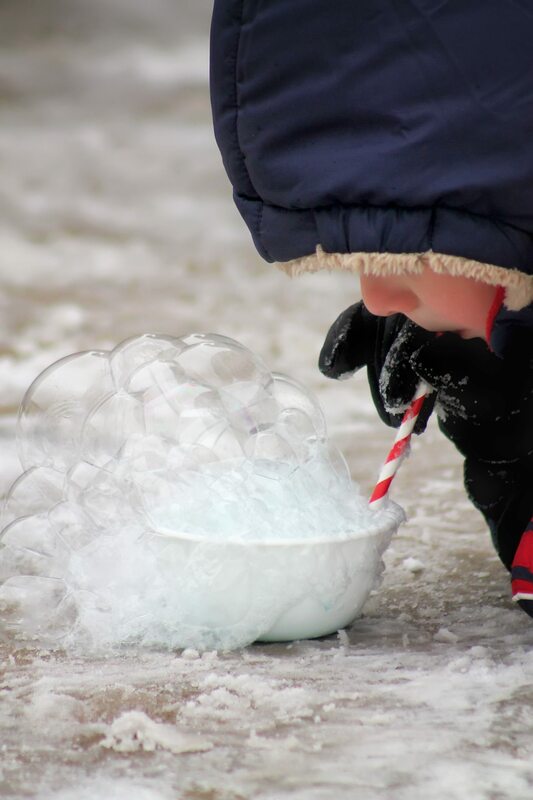 In order for bubbles to freeze, the temperature needs to be below 32 degrees Fahrenheit. We’ve had best results in extremely cold weather that was between 9–12 degrees Fahrenheit (or colder). To make frozen bubbles you will need bubble solution and bubble wands. Sometimes in the winter, it’s difficult to find bubble solution in stores. If this is the case, you may wish to make homemade bubble solution with glycerin, dish soap, and distilled water. No glycerin? Check your kitchen cupboard for a bottle of light corn syrup and use that instead. We started the fun by blowing bubbles into a bowl with a paper straw. 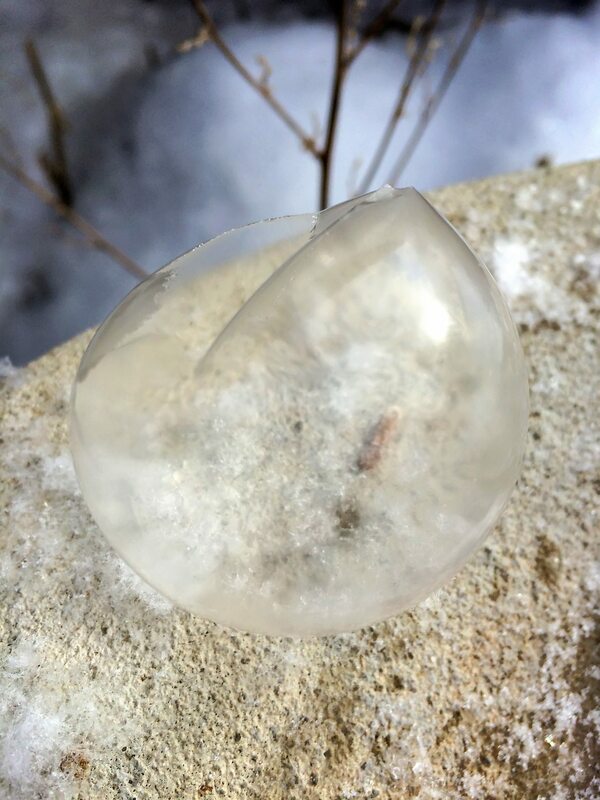 A thin layer of ice soon appeared on every bubble. The ice appeared to float and slide along the surface of the bubble. The bubbles formed crystals, froze, then completely collapsed into shimmering fragments. My oldest son enjoyed scooping up the shattered bubbles with his hand and blowing them into the sky like foam. Next, we used bubble wands to blow bubbles the old-fashioned way. The bubbles froze mid-air, exploded, then dropped to the ground. 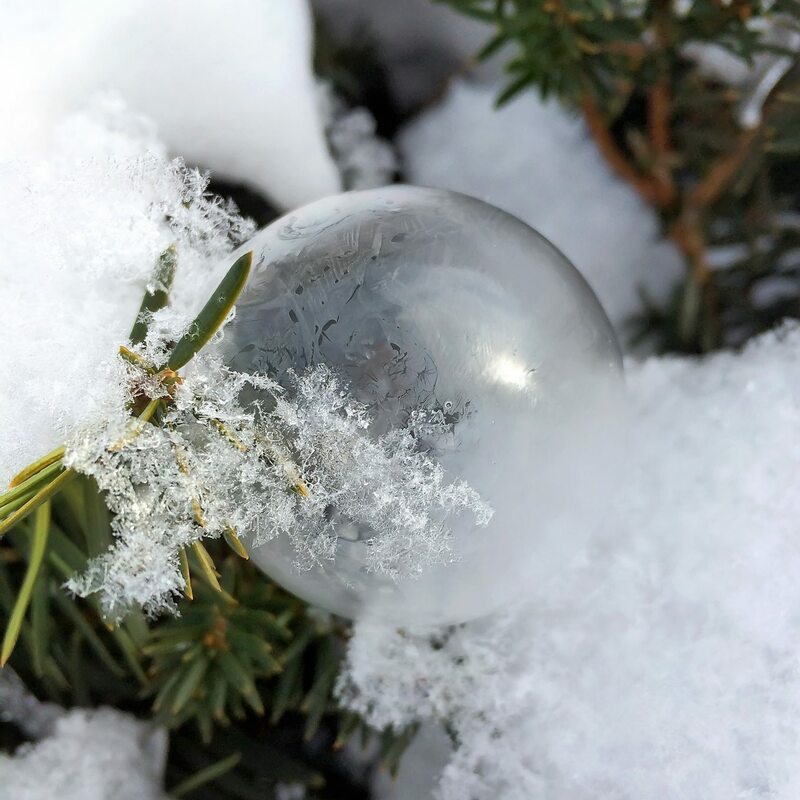 Sometimes, a bubble would cling to a hedge or bounce along the surface of the snow like a ball, until it shattered or ripped. 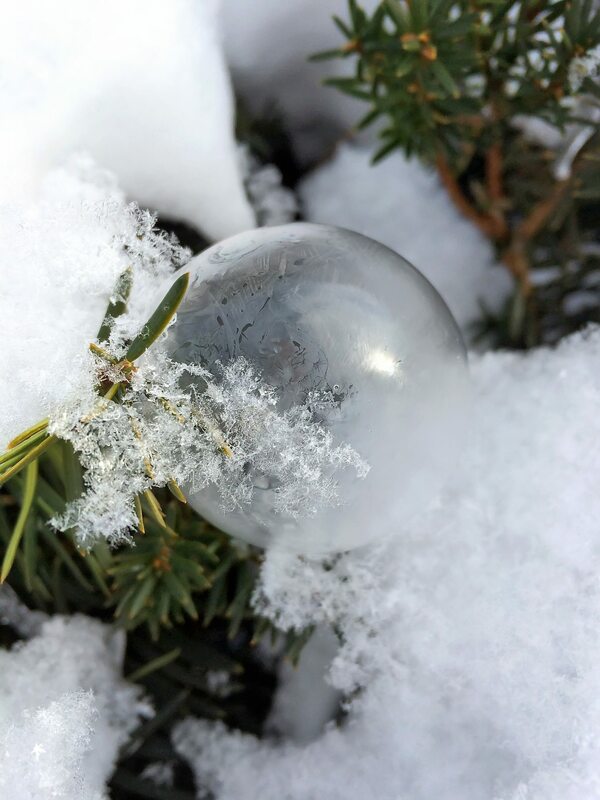 For best results and longer lasting frozen bubbles, blow the bubbles in an area shielded from the wind. 1. Love to play in the snow? 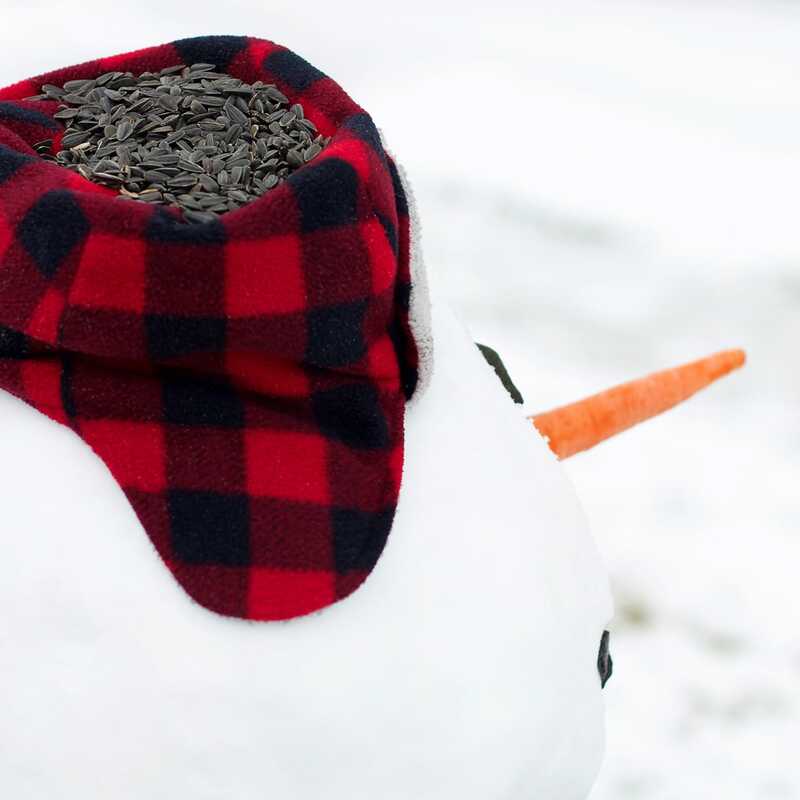 Get outside and build a snowman birdfeeder! 2. 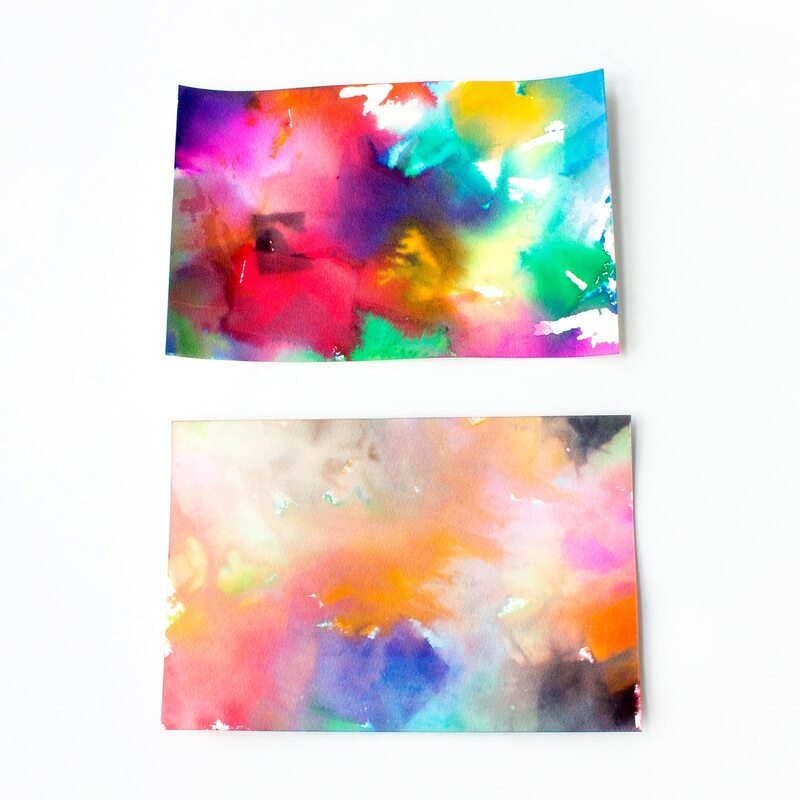 Use bleeding tissue paper and snow to make tissue paper art with snow! This post was originally published on November 8, 2014. I love the idea of doing it in the bowl. We tried it last year using those little bubble wands and it popped pretty quick. Still was beautiful though! Do you think you could use dawn dish soap or bubble bath to blow bubbles or just bubble solution?